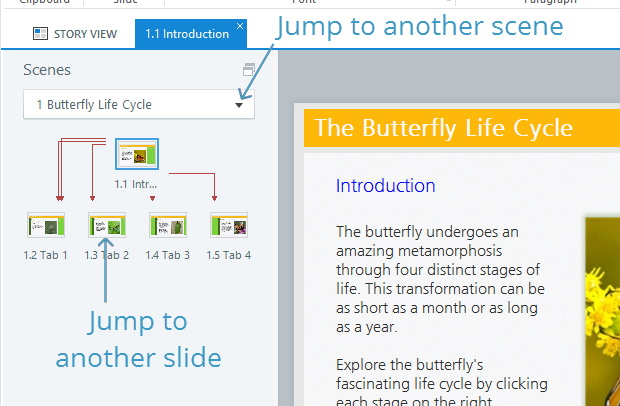 Slide View is where you build and customize individual slides in an Articulate Storyline course. 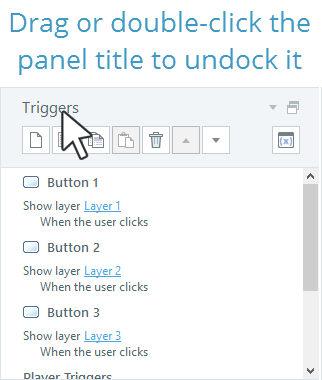 Add content, trigger actions, adjust timings, manage layers, and more. Switch to Slide View by clicking the button in the lower right corner of the screen (beside the zoom slider). Or, go to the View tab on the Storyline ribbon and click Slide View. If you're in Story View, you can also double-click any slide thumbnail to open it in Slide View. To jump to a different slide in the same scene, click any slide thumbnail in the Scenes panel on the left side of the screen. To switch to a different scene, select it from the Scenes drop-down. Sometimes it's helpful to keep several slides (or scenes) open in separate Slide View tabs for editing and comparison. 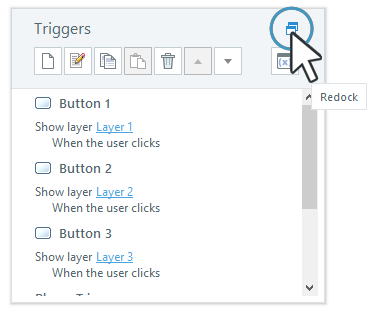 To learn more about working with the Storyline interface, see this tutorial.